Are you or your family dealing with breathing issues? Are you constantly battling allergies, snoring, sneezing, sinus problems, or asthma flare-ups, even though you slave away trying to keep your house spotless? Your dirty carpets could be the problem. 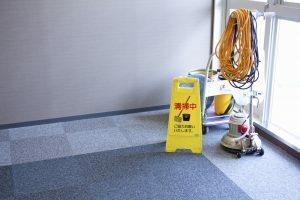 Even if you vacuum every day, pollutants and other nasty things get trapped deep inside, where vacuum suction can’t reach them. When they get into the air, they affect your indoor air quality. It’s really bad for your health, especially if you have asthma or serious allergies. Getting professional carpet cleaning once or twice a year can work wonders for asthma and allergy sufferers. You don’t need it often, but deep cleaning your carpet eliminates trapped pet dander, pollen, smoke and ash, and other irritants. Here’s why vacuuming alone isn’t enough to get the bad stuff out of your carpeting. Allergens and pollutants are trapped deep inside the carpet fibers. According to the EPA’s research, indoor wall-to-wall carpets can retain many common sources of air pollution. This includes pet dander, cockroach allergens, particles from smoke, and everyday dirt and dust. In fact, toxic gases can even bind to these particles, contaminating the air when walking or vacuuming releases them. Professional carpet cleaning can even kill dust mites. Many people struggle with a dust mite allergy, and it’s hard to get rid of them. Dust mites are microscopic creatures related to spiders, and they feed on tiny particles of dirt and dust. They’re present almost everywhere, and eliminating them can be a challenge. Professional cleaners use forced hot water extraction, a deep-cleaning process that exposes mites to temperatures they can’t survive. Carpet cleaning stops mold from growing. Vacuuming alone doesn’t remove excess moisture, which may be present inside or beneath your carpets. Moist conditions create a perfect petri dish for all kinds of potentially hazardous mold to settle in and grow. Even tracking in water from outside could invite mold, especially if you don’t dry or vacuum immediately. After professional carpet cleaning, which wets the carpet with very hot water, high-powered equipment leaves your carpeting bone-dry. Molds don’t stand a chance. 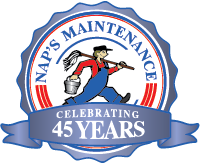 At NAPS Maintenance, we offer residential carpet cleaning using forced hot water extraction, a tried-and-true solution for deep-seated dirt and debris trapped inside the fibers. Call us any time to find out more, or to schedule your annual carpet cleaning, at 508-226-4492.